Continuing the Hell Yeah! 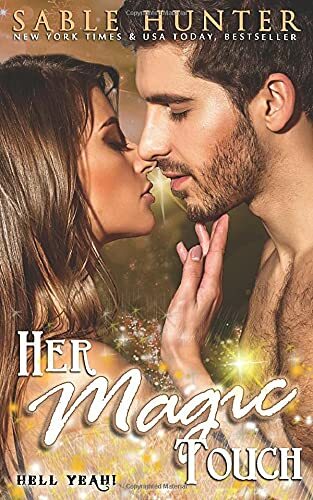 Series with Book 3 - Her Magic Touch Daredevil Joseph McCoy is convinced of two things: first, he's invincible - and second - he's God's gift to women. But heaven has other ideas. Joseph's world is turned upside down when he wrecks his dirtbike and finds himself paralyzed from the waist down. For a while, Joseph doesn't know if he wants to live - until Cady comes to take care of him. Cady is Joseph's guardian angel - literally. And she will do anything to make sure he regains all he has lost - including his manhood. Cady is not Joseph's usual type of woman - but by the time this handsome cowboy knows what hit him - Cady has found a place in his heart. After Joseph has experienced Her Magic Touch - he will never be the same. Joseph falls in love with Cady and learns that true beauty is a rare and wonderful thing.